Per design standards, wheelchair ramps are a “means of egress” in a fire and should be fireproof. Amramp meets and exceeds those criteria. 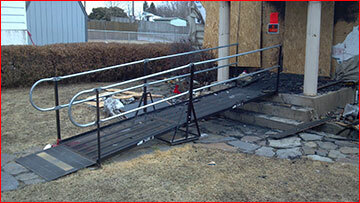 The Amramp steel wheelchair ramps are fireproof and provide a more stable, non-flammable exit in the case of fire. Wood and aluminum are not fireproof. 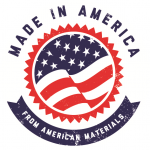 Amramp is your trusted source for safe and affordable wheelchair ramps. 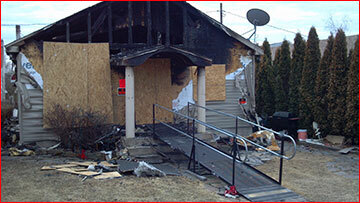 A veteran’s house was on fire in Hazelton, PA. He and his wife were able to escape using their Amramp wheelchair ramp provided through the Department of Veterans Affairs. The fireproof steel ramp saved their lives. Another man escaped the fire that destroyed his home in Fair Oaks, NC by using the Amramp wheelchair ramp provided by his church. Because the Amramp modular ramp is fireproof and survived the fire, the ramp was able to be dismantled and re-installed at his mother’s house right away after the fire. 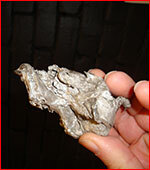 Aluminum melts in the heat of a fire. Here’s a photo of failed 6063T6 extruded aluminum used in aluminum modular ramps.That’s why you’ve never seen an aluminum fire escape.